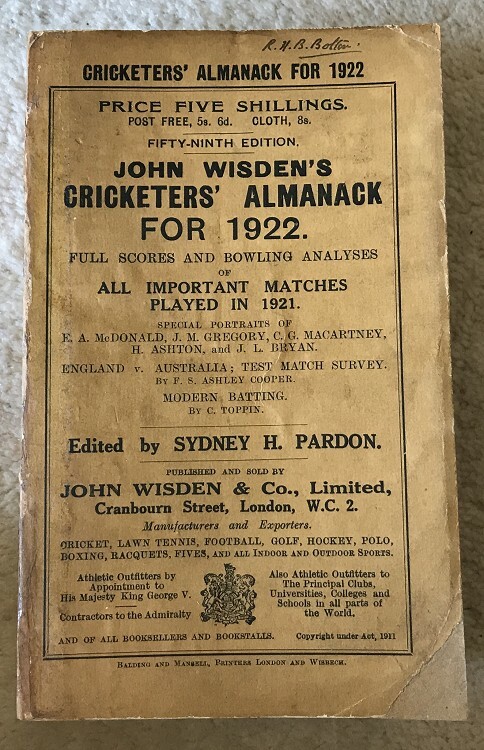 This Original paperback has had a touch up to the spine paper and is the usual darker brown compared to the later 20s and 30s but other than that it is a nice clean Wisden, tightly bound with an excellent photoplate. If you do not mind a touch up or two this is the perfect Wisden for you at a great price. Small name to the top of the front cover. Page block to the top is dark.